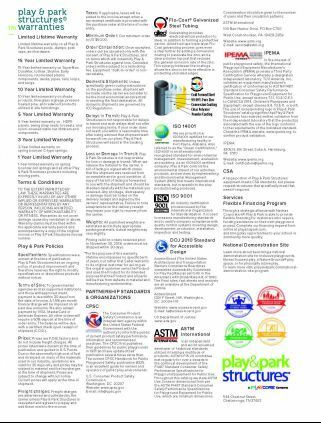 Play & Park Structures is pleased to provide information about news and upcoming events, links to industry organizations, a section dedicated to Landscape Architects, forms for our existing customers, and our site-wide terms and conditions. We will be in El Paso on February 20th and 21st at the Texas Recreation and Parks Society Conference. Stop by and see us! We will be in French Lick, Indiana this week at the Indiana Parks and Recreation Conference - stop by and see us! A new fitness trend that is positively impacting landscapes with modern, attractive, outdoor fitness equipment that can be available 24 hours a day, 7 days a week. This equipment is for ages 13 and up and offers varied challenge levels within each element for a well-rounded workout. 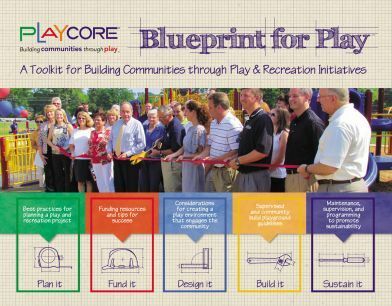 Ask about PlayCore’s best practice guide, Outdoor Adult Fitness Parks, for promoting community health. BarkPark products provide a community destination where dogs can exercise and interact in a secure environment. Based on popular agility obstacles, BarkPark equipment has been developed for use by dogs of all breeds, abilities, and confidence levels. At BigToys, we see a direct connection between caring for children and caring for the environment. Building commercial playground equipment that nurtures children is only half the story. Respecting the environment that our children play in and will one day inherit is equally important. By choosing environmentally friendly products like BigToys, you help ensure that the recyclables from your home are in demand. Collectively, the choices we make can literally change the world! Colorado Time Systems (CTS), provides premier athletic facilities across the world with platinum quality timing, scoring, and display systems. Since 1972, CTS has maintained a steadfast commitment to providing cutting edge solutions for all athletic venues. With over 45 years combined R&D experience, you can count on us for the latest in technology. To learn more, visit us at www.coloradotime.com. Since 1995, Dero has been supplying innovative bike parking and bicycle transit solutions to architects, contractors, municipalities, higher education, and parks and rec. Our bike racks, public repair stands and pumps, shelters, and lockers are high quality, thoughtfully designed and secure. We also offer the award-winning Dero ZAP, an automatic system to track bike commuters. We are located in Minneapolis, MN. Visit www.dero.com. At Everlast Climbing, we are committed partners in the quest to improve youth fitness with climbing walls and educational climbing programs. Everlast Climbing products and services are of unparalleled quality and innovation. With educators on staff, we are committed to the ongoing development of climbing walls and climbing resources to ensure the highest quality educational climbing experience. To learn more, log on to www.everlastclimbing.com. GT Grandstands designs and manufactures premium quality grandstands, bleachers, and a range of spectator seating options. These options include permanent grandstands, press boxes, existing structure renovations, standard portable bleachers, team benches, and custom grandstands and bleachers built to meet your needs. National Recreation Systems (NRS) is an industry leader in aluminum bleacher manufacturing, custom design services, and project management. NRS provides high quality, innovative seating systems including: small portable bleachers, large seating systems, team benches, and custom design. Spectrum Aquatics has been meeting and beating aquatics industry standards for more than 4 decades. We manufacture a broad array of quality aquatic products used in the construction and operation of commercial swimming pools and spas. Our flagship products include starting platforms, pool lifts and accessibility equipment, ladders, rails, steps, dive stands, lifegaurd chairs, pool covers, cleaning products, and a broad array of aquatic accessory items and parts. Both offer a wide variety of high-quality engineered shade and shelter products that create community spaces while helping protect patrons from many of Mother Nature’s elements. Options include standard shapes and custom designs that protect your recreation investment and your community. Since 1986, UltraPlay has manufactured innovative play and recreation products. 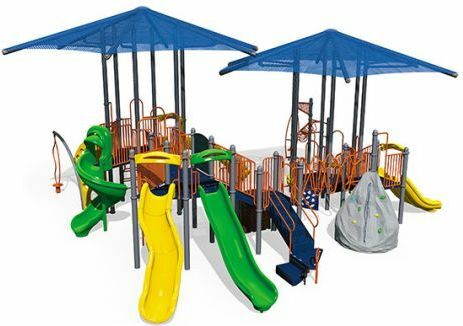 The company’s product selection includes affordably priced, commercially compliant play equipment for children ages 6 months to 12 years. Ultraplay has a wide variety of play options that are appropriate for a variety of public and private venues and is committed to providing excellent quality, along with customer satisfaction and support. UltraSite has been the leading manufacturer of Site Furnishings, Park Amenities, Picnic Tables, Park Benches, Grills, and Bleachers for over 25 years. UltraSite is your one-stop shop for your outdoor recreation project, let our experienced sales representatives guide you through a simplified process to successfully complete your next project, visit www.ultra-site.com to learn more. 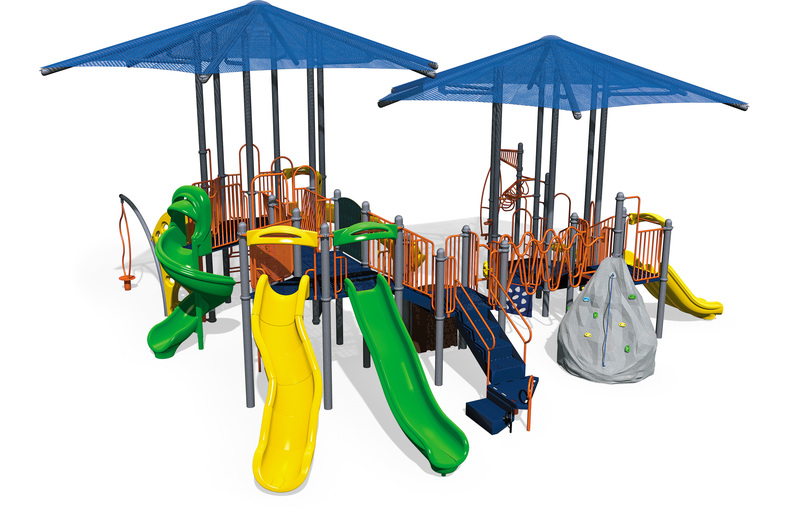 Play & Park Structures understands the unique needs and requirements of Landscape Architects. We have dedicated this focused section of the website to address the importance of specific design elements, presentation materials, and program resources that can help to seamlessly streamline the design approach, and help LA’s meet their customers needs in a timely, professional manner. Throughout our website, you will be able to quickly access several assets to help make your presentation unique and engaging. Look for this icon on all structure and freestanding product pages. Simply download to your laptop or desktop, to add creative play to your next design presentation. Click the image at the left to download a sample. In addition to CAD files, you may also download top views and full color 3D renderings. High quality resolution and optional lifestyle photography help clients truly imagine their dream playground vision. Click the image to the left to download a sample. 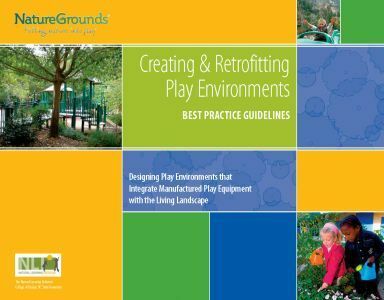 Whether your site requires a nature inspired theme, inclusive play, fitness parks, dog parks, or educationally based play, we have an entire section focused on enrichment, that will help your design proudly outshine the competition. Click the booklet to the left to download a flyer. When customers are in the process of raising money for their project, we offer tried and true solutions to assist in this endeavor - from grants, to buying programs, to flexible financing, these options are designed to get the ground-breaking started. Click the booklet to the left for more info. 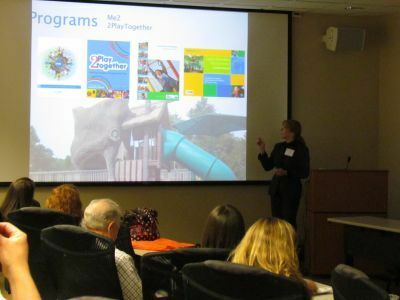 PlayCore's full suite of educational programing promotes the value of play well beyond the playground. Let us partner with you to schedule Lunch & Learn sessions with your stakeholders to explore unique ways to position our mutual expertise. Contact your Consultant to learn more. 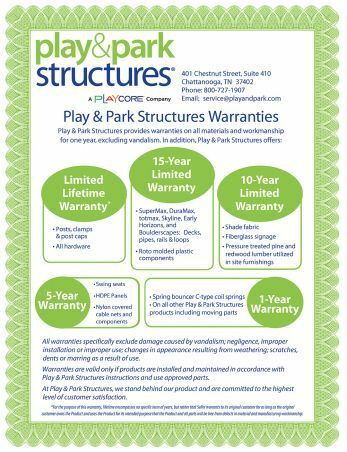 Whether you are a new Play & Park Structures playground owner, or one of our many loyal customers, this section of the website is designed to put you in touch with our friendly customer service team, offer information about warranty issues, and to provide a form for replacement parts. 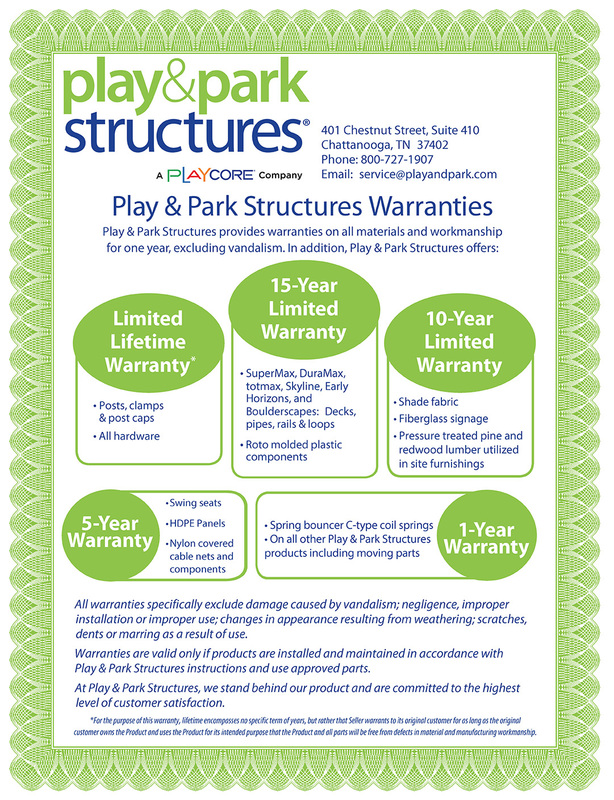 Need more information about Play & Park Structures' comprehensive warranty? Click the link at the left to download a copy. Play & Park Policies - Terms and Conditions can be downloaded below. 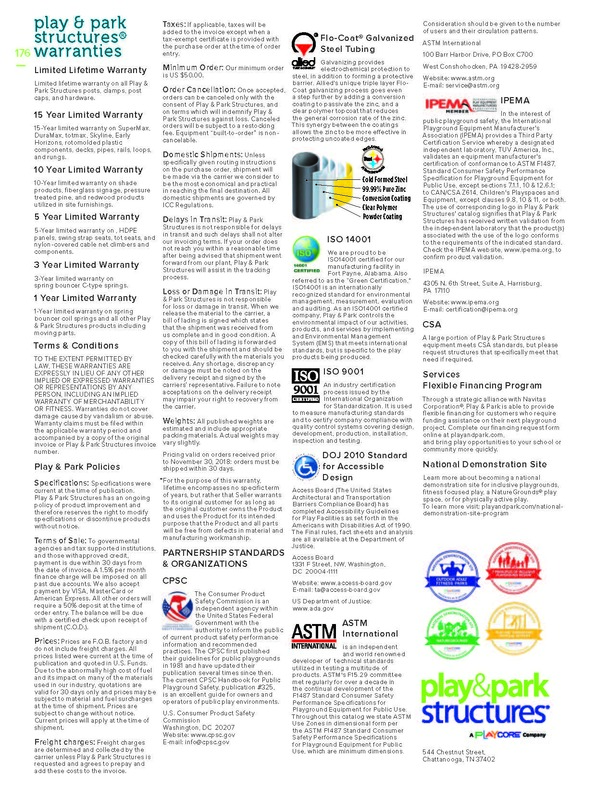 To understand Play & Park Structure's Terms, Conditions, and Policies, we invite you to download this document by clicking the image on the left.